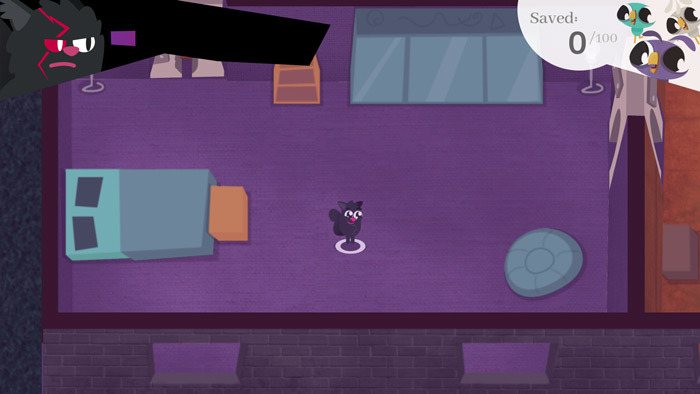 "A challenging game about collecting cats!" 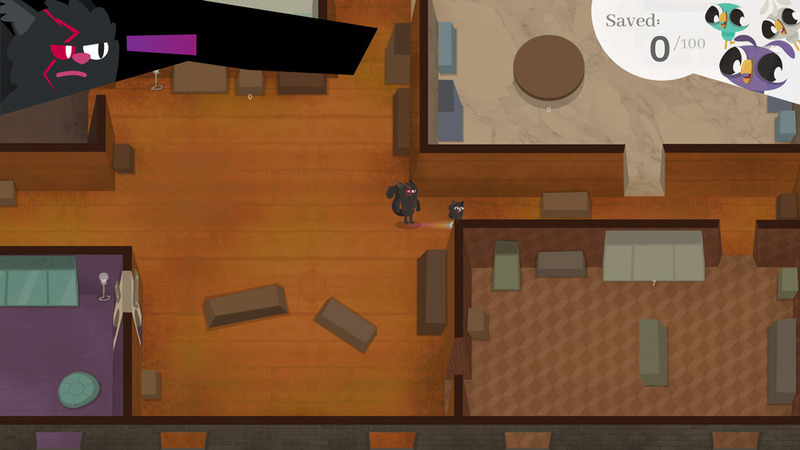 Cute Army: A Cat Story is an adventure game where you play as a young cat that must try and rescue one hundred cute cats (or cute army), these kittens are scattered throughout your house, however the protagonist has a dark past and his father will try to catch him before he can rescue the cute army. The controls are simple enough with just directions and a couple of special moves including a dash ability, you will need to try to master this ability to outrun your evil father and get to the hostage cats, however Cute Army: A Cat Story does have some flaws in it's game play being incredible difficult, it looks really good and the game is very inviting but it can seem almost impossible to outrun the evil father cat before even rescuing one of the cute army and when the target is one hundred this can seem like a very daunting task. Despite being very difficult to master this is a fun and good looking game that should please anyone who enjoys a good cat or adventure game, and especially those who like a really challenging game. You can download Cute Army: A Cat Story here for free.